Latest release - Multiecuscan 4.4! If you have an earlier version installed on your computer then you don't need to uninstall or deactivate it. Simply download the latest version and install it. It will upgrade your current installation and take the license data from it (in case your license has not expired)! Multiecuscan 1.1 is now available on App Store for iPhone/iPad devices! 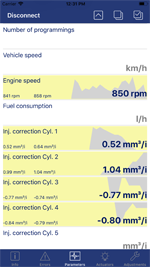 Multiecuscan 1.1 for iOS works with WiFi OBDLink, ELM327 and CANtieCAR v4.x interfaces. The subscription for iOS version can be purchased from the App Store, and it is not linked to the license for Windows version. The WiFi functionality of the CANtieCAR interfaces is still in testing phase. 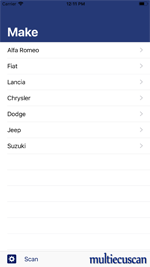 All CANtieCAR v4.x interfaces have WiFi capabilities. 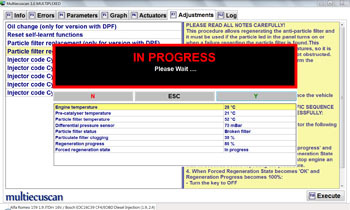 The procedure for updating of any CANtieCAR v4.x interface is decribed HERE. Please note that some ELM 327 interfaces produced in the last few years have problems accessing the CAN network. The problem can be easily fixed by simply removing one resistor from the interface. The procedure is covered in the following topic on the forum: FAULTY ELM 327 INTERFACES DE-MYSTIFIED (READ HERE). Multiecuscan works fine on Windows XP SP2, Windows Vista, Windows 7, Windows 8, Windows 8.1 and Windows 10! 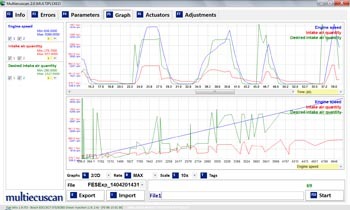 multiecuscan is a vehicle diagnostic software with advanced functions. 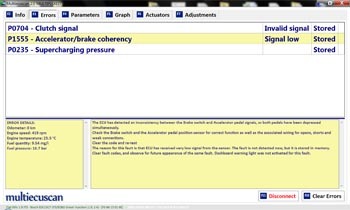 It allows you to perform various diagnostics tasks on the supported vehicles/modules. In order to use the software you need an interface. The following interfaces are currently supported by the software: KL (also known as VagCom 409), ELM327 (1.3 or newer), OBDKey 1.40, OBDLink, ELM Scan 5, CANtieCAR. 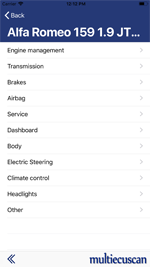 Bluetooth OBDKey, ELM 327 and OBDLink interfaces are fully supported but not recommended for special functions (like PROXI Alignment, remote control programming, IMA coding, etc.)! 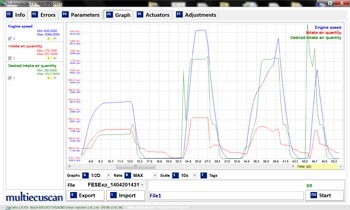 CANtieCAR is a professional multi-protocol interface with multiplexing capabilities. PLEASE NOTE: Our email is flooded with complaints for incorrect operation and virus problems from people who use manipulated copies of Multiecuscan (bought from Chinese web sites and elsewhere). We cannot take any responsibility for incorrect operation of non-geniune software and the problems it may cause to your computer and vehicle. We will not reply to any email from users of this software and will not provide any support to them. The geniune software has digital signature and can be downloaded from this web site. Licenses for the software can be purchased from here or from one of the distributors. This is the limited version of the software. The program is free for personal use with some limitations (see table below and Supported Vehicles List). You can download it from the link below. NO ONE HAS OUR AUTHORIZATION TO SELL THE FREE VERSION OF THIS SOFTWARE either as a bundle with cable or standalone! This is the full version of the software. 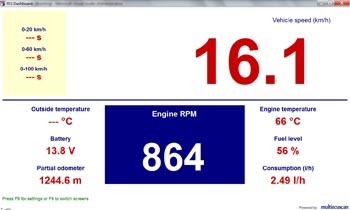 It supports a large number of modules in Fiat, Alfa and Lancia vehicles. In order to use this version you need to buy a license. The license is valid for a SINGLE computer only! 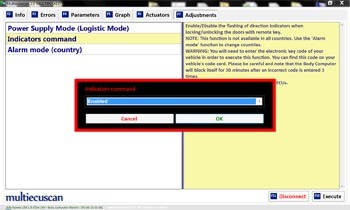 You will also need an interface (please check which interfaces are compatible with your car in Supported Vehicles List). 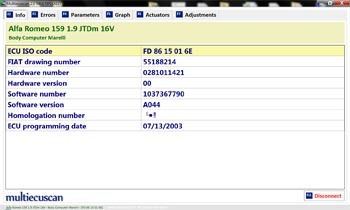 You may also need an adapter cable in order to access certain modules in your car (you can check if you need an adapter in the Supported Vehicles List). This is a special bundle of the software which includes a specialized professional interface. The included interface has multiplexing capabilities, it has support for all vehicles/modules and does not need additional adapters (except the 3-pin adapter for the old vehicles). The license of the software in this bundle is locked to the interface and you may install it on any number of computers but you can use it only with the included interface. This is diagnostics software for mobile devices. It runs on Windows Mobile and Windows CE devices (including Windows GPS devices). In order to use FESmobile you need to have a license. The license is free for everyone who has a license for multiecuscan. In most Windows CE devices you cannot install a CAB, so you have to download the RAR file and unppack it in a folder on your device, then run FESmobile.exe from there. 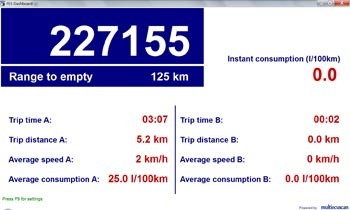 This is a digital dashboard/trip computer. 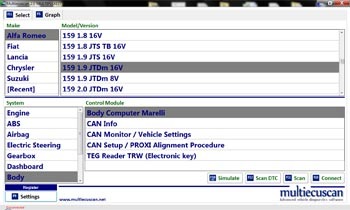 The software reads data from vehicle's CAN network and displays it on screen. It currently supports only the vehicles with 11-bit CAN systems (like Punto Mk2, Stilo, Bravo'07, Croma, 147, 159, Delta, Thema) by using a regular ELM327 interface. 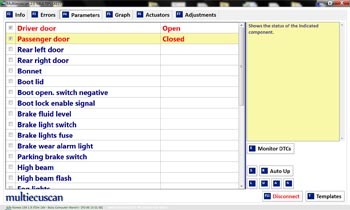 The software uses customizable screen templates to display the data. It also supports multiple screens and can be controlled with steering wheel controls. This software currently has versions for Windows and Windows Mobile. It is completely free and does not require license. Multilanguage data (parameter names, errors, etc.). - Microsoft .NET Framework Version 2.0 SP1 (or a newer version). Free, available from www.microsoft.com. For further details and question please visit our forum. 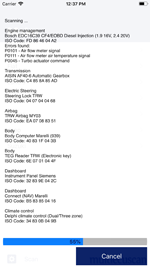 - A Windows Mobile (versions 5, 6.0, 6.1, 6.5) or Windows CE device with Bluetooth support. Could be a cell phone, PDA or GPS device. Please note that Windows Phone is different from Windows Mobile and Windows CE. This software does not work with Windows Phone devices! The file is an installer. It will install the program and all required files on your computer. The file is a CAB installer. It will install the program and all required files on your Windows Mobile/Windows CE device. You have to uninstall the previous version first! This is suitable for Windows CE devices! You have to unpack this RAR in a folder on your Windows CE device and then run FESmobile.exe from that folder. You can purchase a license for Multiecuscan REGISTERED version HERE. You can purchase Multiecuscan MULTIPLEXED package HERE. Copyright 2009-2018 by FESSoft Ltd.